Forty seven countries have the Indian Ocean on their shores. The Indian Ocean is the third largest body of water in the world. It occupies 20 per cent of the world’s ocean surface – it is nearly 10,000 kilometers wide at the southern tips of Africa and Australia and its area is 68.556 million square kilometers, about 5.5 times the size of the United States. According to Prof. David Vine, a public anthropologist at American University in Washington` [Between 1967 and 1973] the British loaded the inhabitants, known as Chagossians, onto ships and sent them off to Mauritius and the Seychelles, 1,200 miles to the west across the Indian Ocean, where they live to this day. A court case is under way in Britain seeking damages, and the government there has reportedly paid almost $30 million in compensation to the islanders. Last year, the Chagossians were allowed to visit the graves of their relatives for the first time’. The colonisers even `killed the islanders’ dogs, loaded the pets into sealed sheds, gassed them, and cremated them’. 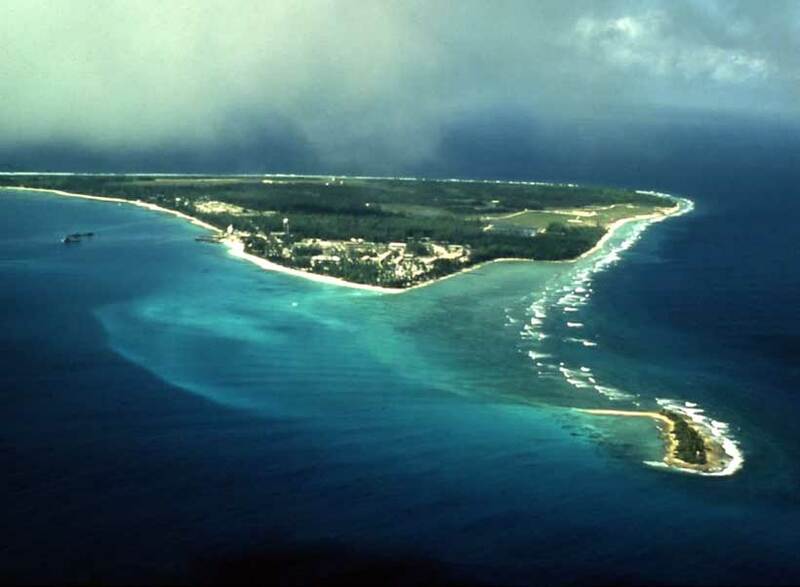 Diego Garcia is off-limits for journalists and tourists . Some Germans and Italians who tried to visit the island were hounded, impounded with their fishing boat and deported. After forcibly evicting residents of Diego Garcia, UK and USA assured the world that the Island was uninhabited. Diego Garcia covers 6,720 acres of restricted military space on a low- lying, depopulated atoll 1,000 miles from the nearest continent. In 1966, the U.S. signed a secret agreement with Great Britain allowing the Pentagon to use the Indian Ocean territory as an airbase in exchange for a big discount on Polaris nuclear missiles. Three years later, hundreds of Navy Seabees arrived by ship and began pouring out two 12,000-foot runway that would become a bulwark of American Cold War strategy in the region, and a key launching pad for the first and second Gulf wars, the 1998 bombing of Iraq and invasion and carpet-bombing of Afghanistan. The base can house more than 2,000 troops and 30 warships at a time. It has two bomber runways, a satellite spy station and facilities enabling the use of nuclear-armed submarines. It served as a CIA black site (like Guantanamo Bay) to interrogate and torture terror suspects including those from Afghanistan, Pakistan and Indonesia. The base holds key to America’s Afghan exit plan, by year 2024, to avoid a rout at the hands of Taliban. With Garcia in trouble, Pakistan will be the only trump card in Trump’s hand for Afghan exit plan 2024 or earlier). The lesson for Modi is that truth ultimately prevails. India cannot forcibly keep the tortured Kashmiri enslaved forever. Despite adverse advisory opinion on Chagos Island, including Diego Garcia atoll, by International Court of Justice, United States’ forces are still entrenched there. Besides, France maintains naval bases in the Indian Ocean and stations frigates off its Reunion islands. China has a string of naval assets in the region from Gwadar to Djibouti. India’s ambition to dominate the Indian Ocean does not augur well for the region. It should let Indian Ocean remain the zone of peace.